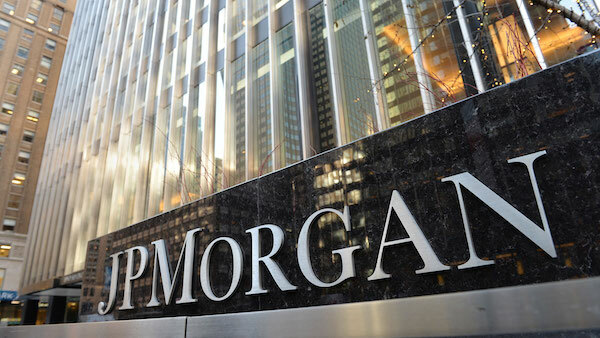 JPMorgan is planning to move its USD using the blockchain. And, a New York Bank has been doing this for more than two months now. According to the bank executives, ever since the launch, more than 100 clients have been using the Signet system in order to send each other millions of dollars in a day round the clock. Signature is the US bank that provides deposit accounts for cryptocurrency startups. There are other banks like the Metropolitan Bank and Silvergate Bank in San Diego doing this. According to the executives, Signet is now being used by non-crypto businesses too. Signet has been previously made the payments platform for their renewables energy customers by American PowerNet, which is an independent electrical power trading firm. “If you have ever been involved in a commercial real estate closing, usually all the lawyers are sitting around eating lunch waiting for the wire transfer.” Thus implying that there is a need for faster transactions. Signature Bank has less than 2% the asset size when compared to JPMorgan. Therefore, it comes as no surprise that DePaolo and Signature Chairman Scott Shay were taking pride in pointing in comparing JMP coin to what they already have. Both of these Signature’s blockchain system along with JPM Coin run on private variants of the Ethereum blockchain technology. JPM uses Quorum. Quorum is mainly focused on data privacy fork on the Ethereum public blockchain code. Signet platform is built on true digital, which is a proprietary blockchain that uses Ethereum as its base. Both of these platforms involve stable coins that are pegged to the real world USD that is deposited in the bank in exchange for tokens which clients can use to transact with each other using the distributed ledger. They will be able to redeem it 1:1 with the financial institution. Replacing wire transfers with blockchain is the current goal meant to keep clients connected 24/7.